By stayhomecupcake on October 5th, 2009 . Filed under: Cupcake Ideas, Giveaways, Kids, Toys . Our giveaways keep getting better and better! This week csnstores.com is giving away this adorable Kidkraft wood set. 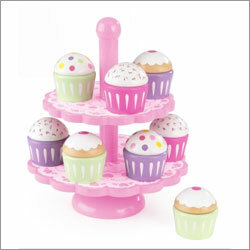 The Cupcake Stand with Cupcakes is the perfect kitchen accessory for any of the young chefs in your life. The best thing about this toy is that the icing tops come off and are interchangeable with the cupcake bottoms. My kids have been playing cupcake shop all week with this adorable toy! Csnstore.com sells nursery furniture and so much more! Check out these other cupcake must-haves. To enter this contest, please go to csnstores.com and then come back to ATC and leave a message in the comment area below about another CSN item you would love to own. One winner will be chosen on October 12th. Thank you csnstores.com! It was easy… First I saw the rug, and was like Wow! what a sweet entrance to our home! Then I scrolled down to page 2 and saw the Bucket O’s Lip glosses, it was something like 42 or so cupcake lipglosses? GOSH! I would have a wonderful passing those out to the ladies in my life! Spreading the wealth would be so sweet! The cupcake toy set would look lovely at my nieces house, she is turning 1 later this month, cant get them started on the cupcake train to early! I know my daughter would love playing in the Playhut – School Bus Pop Up Play Tent! My son is obsessed with school buses right now, he would love the pop up play tent! Another item I would love to have is the Italtrike or the princess pedal car! wow. love them. I would love some jelly roll baking pans. I love csnstores.com — about a month ago – I got a Bubble & Brown lasagna pan and casserole from them. They were great to do business with. LOVE LOVE LOVE the personalized toybox! It would go perfectly in my daughter’s room! I LOVE, LOVE, LOVE the Susan Branch – Cupcakes Black Novelty Rug. 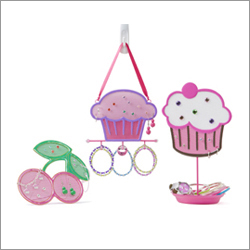 So cute and would go well with my cupcake-themed kitchen. Cupcakes galore! 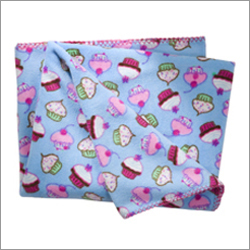 I have an obsession with both cupcakes & fleece blankets so this would be perfect for me http://www.csnstores.com/Three-Cheers-For-Girls!-53140-TCG1744.html a fleece cupcake blanket! I could snuggle & read with my daughter, who’s nickname is cupcake, under it! Companions Horse Wall Art is what I loved! The Step2 50’s Diner would be so adorable for my granddaughter! I am looking for a cool set of bunk beds for my girls and these ones are really awesome! I like the Mattel – Tumblin’ Monkeys Game for family game night. cute giveaway. I like the broderick display cabinet. I like the Kiwi colored baking cups, lots of cute stuff on this website. Thanks for the giveaway! I love the selection of Corolle doll accessories! We have 3 boys and FINALLY a girl! It’s so much fun shopping for doll things for her. She is now 19 months old. Santa may bring her a play kitchen for Christmas and she absolutley HAS TO HAVE these cute cupcakes to go with it!!! The Power Wheels Barbie Jeep. Shouldn’t every little girl have a pink Jeep? I’d love the tiger cat scratcher. My cats would enjoy that and leave my couches alone! The green dragon costume is adorable! The Pastel Play Kitchen Set would be a huge hit in my house! My daughter would love the DollKraft by KidKraft – Comfy & Cozy Toy Cradle for dolls. I would love to win the personalized toy box for my son and his toys. Thanks for the giveaway! my daughter would just love the Tumblin’ Monkeys Game it is so cute! I love the prairie tea set…and the birthday cake set. I love one of there leatherbenches. It would go perfect in my bedroom! Love ALL the ride on’s and pedal planes! My little G would be in heaven. I could have sworn I entered this the other day, but don’t see my comment. Anyway, I love the cupcake lip gloss tub and the cupcake emery board tub! They would be awesome party favors and they’re just so darn cute! My little girl loved the pink suede chair, so cute! She would love a cupcake play set. She, like her mother, loves cupcakes! We even having matching cupcake pjs! My daughter would love the Joovy Just-Like-Mine doll booster/carseat. So cute! I love the black cupcake rug! It would look great in front of my little girl’s crib! I want the cupcake stand and a cupcake picture frame for my babycakes pretty pictures! I love this website and I LOVE LOVE LOVE cupcakes. I loved the cupcake learning toy, cupcake rug, and the Childrens make your own cupcake kits! I think they would be the cutest party favors! We are planning a cupcake themed 1st Birthday party for our daughter, and I would LOVE to win this sweet toy for her birthday! 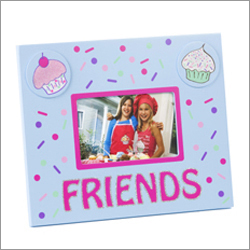 From the site I fell in love with the Cupcake Canvas Wall Art! It would be too cute to have that personalized for my daughter’s cupcake room. What a great giveaway! I would LOVE to win the KidKraft – Pastel Coffee SetSKU #: KK1388. What goes better with cupcakes than coffee? Thanks and I really enjoy your website! I would love to have cupcake stand with cupcakes. They are perfect to decorate my furture dessert shop! Oops, I forgot to add this and I couldn’t edit my post – If I could get anything else from CSNStores it would be – Messina Cake Stand by Bago Luma, this cake stand is exquisite!!! I love the Roebuck Studio – Frog Cabinet. I’d love this for baby #2’s room (when & if that happens). OMG! My Presley the Peanut would LOVE the Retro Kitchen in Pink! That’s pimp! Awesome site, I’ve never even heard of it til now! I loved the cute train muffin pan. We Play- sand and ater table- My kids would love this thing!! I’ve been shopping online for ideas for my daughter’s 1st birthday party. This website has everything! So many great ideas. Love the doll with interchangeable clothes and the carebear doll. She loves stuffed animals! You should really take a look at the free $25 bonus at Saturn. I just cashed out my winnings! There seems to be a lot of spam comments. Is this a do-follow page? Hi, i must excellent blog you have, i stumbled across it in Bing. Does you get much traffic? Hello, do you or someone here know where i can download these celeb nail designs? This story is a cool read. Thank you for the share.I am looking forward for more updates!!!!! Buzz Lightyear toys are great for kids of all ages. Just wanted to let everyone know. Thank you for another wonderful write-up. Exactly where else could anybody get that type of information in such a ideal way of writing? I’ve a presentation subsequent week, and I’m around the appear for such details.